He came to Kyoto by Shinkansen. I picked him up at JR station and started a half day tour. Along with his request, I chose Golden Pavillion as a place to visit first. 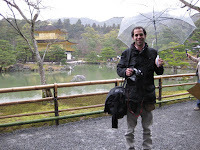 Though it began to rain, Golden Pavillion was beautiful and visited by many tourists. 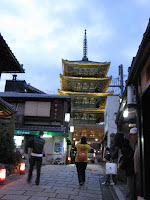 Then we headed for Nijo castle and hurried to Nanzenji temple. As he wanted to have Japanese tea for tea ceremony, we asked a woman at the entrance to have us have MACCHA(tea for tea ceremony). In Nanzenji temple, you can have MACCHA viewing a garden. A woman brought us Green tea and Japanese sweets. 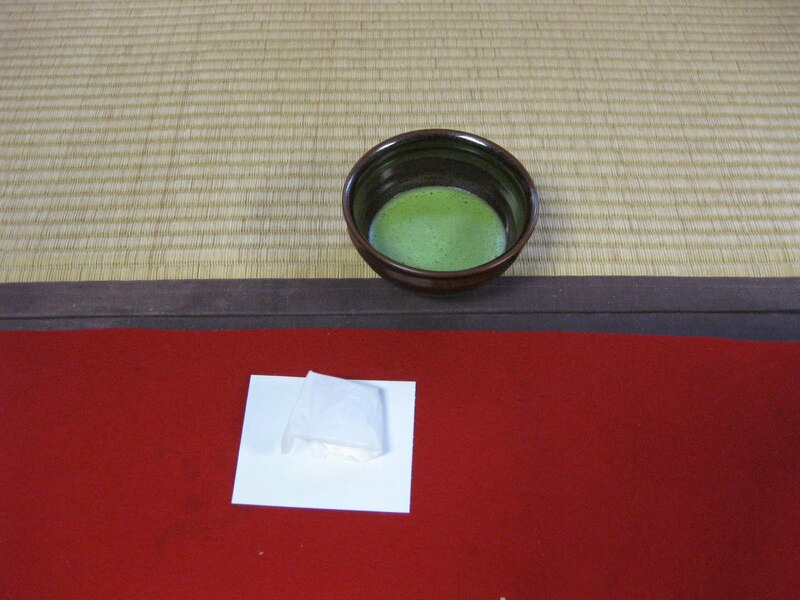 I explained how to drink and enjoyed Japanese tea. MACCHA is a little bitter, but before drinking tea, we have Japanese sweets. Sweetness and bitterness work each other in complete harmony. How about enjoying Japanese MACCHA with your mind calm in the temple? You can enjoy it for just 500 yen. He was interested in incense, we headed for Nineizaka to buy some. As it was getting dark when we got out of the shop, the path started being illuminated. 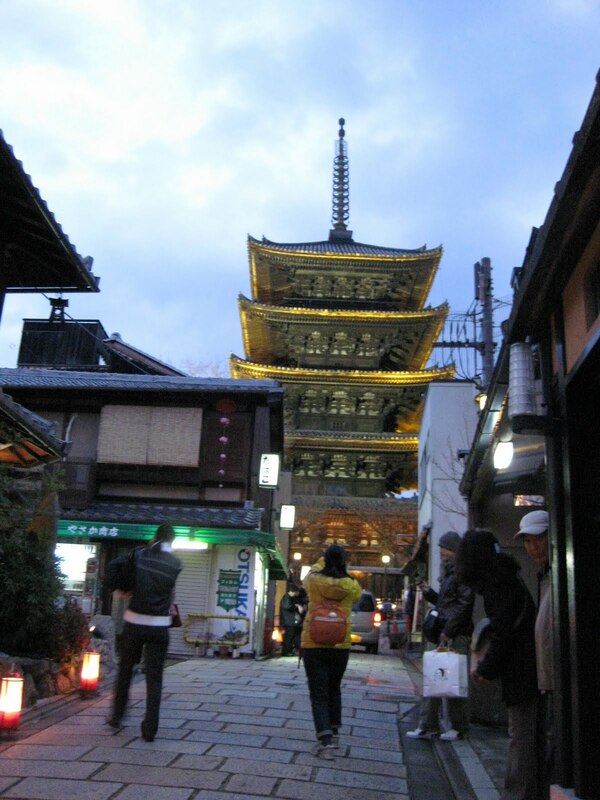 So, we enjoyed the beautiful illuminated pagoda in Yasaka, too. Though it was a half day tour, we enjoyed a lot.